Apple’s press release and the CarPlay preview page state that the newly rebranded feature lets drivers access some iPhone functionality through their vehicle’s in-car infotainment system. 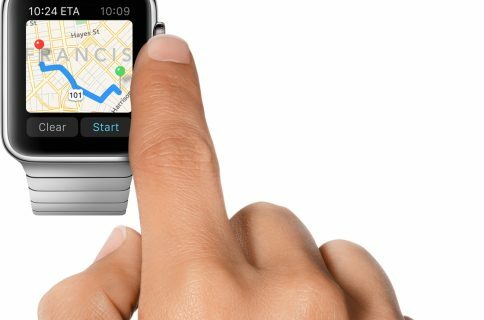 Specifically, Apple mentions getting directions, making calls, sending and receiving messages and listening to music. Kudos to AppleInsider for digging deep into CarPlay’s GPS-guided navigation. CarPlay will predict where a user is most likely headed go by detecting addresses in emails, text messages, contacts and calendars. Likely destinations can then be presented to the user, who can simply select one and then be on their way. This could easily be the most interesting part of Apple’s CarPlay announcement. Apple itself acknowledges that its Maps service on your vehicle’s dashboard includes turn-by-turn navigation, traffic conditions and estimated travel time. 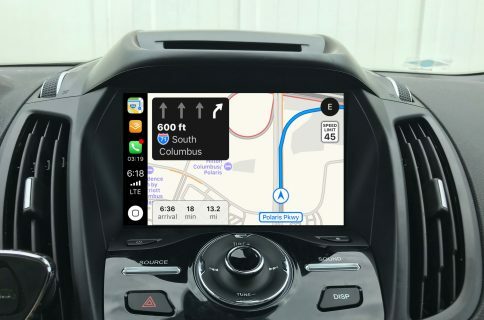 “CarPlay can also predict where you most likely want to go using addresses from your email, text messages, contacts and calendars,” according to the CarPlay preview page. CarPlay makes driving directions more intuitive by working with Maps to anticipate destinations based on recent trips via contacts, emails or texts, and provides routing instructions, traffic conditions and ETA. You can also simply ask Siri and receive spoken turn-by-turn directions, along with Maps, which will appear on your car’s built-in display. Apple pitches CarPlay as “a smarter, safer way to use your iPhone in the car”. In all fairness, the feature won’t be very smart, at least initially. As you know, select car manufacturers previously implemented Apple’s Eyes Free functionality via a dedicated Siri button on the steering wheel. CarPlay is simply a glorified video mirroring feature that provides interaction with your car’s knobs, buttons or a touchscreen. In fact, I’m going to go out on the limb here and say this is precisely why you don’t see car makers like Tesla supporting CarPlay. Tesla’s advanced automotive stack could be too complicated to easily integrate CarPlay, though Elon Musk & Co. could be adding that functionality later in the game. CarPlay will be enabled via an upcoming iOS 7 software update on Lightning-enabled iPhones, including the iPhone 5s, iPhone 5c and iPhone 5. Launch partners include Ferrari, Mercedes-Benz and Volvo. 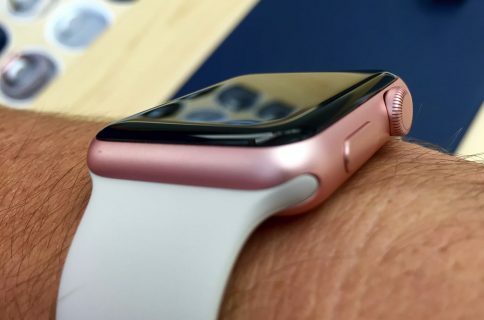 BMW Group, Ford, General Motors, Honda, Hyundai Motor Company, Jaguar Land Rover, Kia Motors, Mitsubishi Motors, Nissan Motor Company, PSA Peugeot Citroën, Subaru, Suzuki and Toyota Motor Corp. will roll out the feature on select vehicles later this year, Apple said. 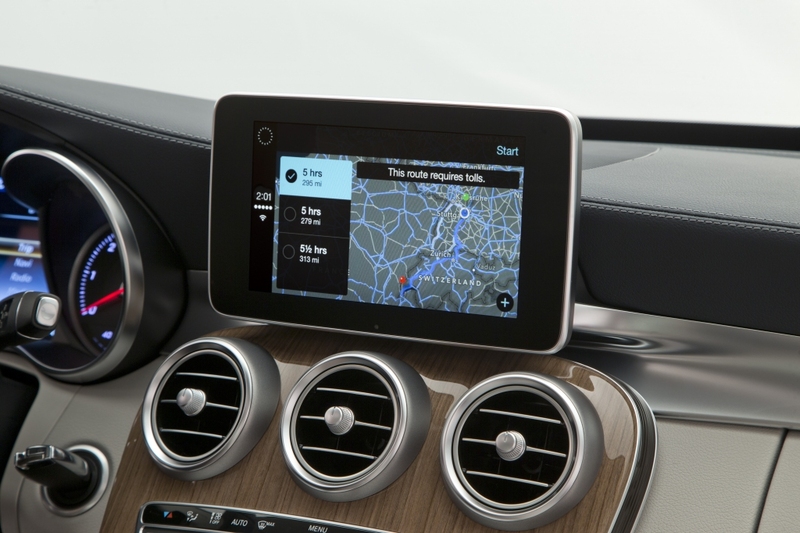 Earlier today, Mercedes-Benz posted a bunch of screenshots depicting CarPlay in an upcoming C-Class, as seen on the image above. Interestingly enough, Volvo quickly removed that statement from press materials. Volvo has also hinted that CarPlay connection is based on a streaming H.264 video feed, like AirPlay. The video stream also returns user input from the touch screen, leading pundits to speculate that CarPlay is heavily dependent on AirPlay for its video mirroring functionality. Ferrari said its California T and FF with CarPlay are debuting tomorrow in Geneva. CarPlay will be initially available in the following thirteen countries: the United States, United Kingdom, Australia, Canada, France, Germany, Hong Kong, Italy, Japan, Mexico, Republic of Korea, Spain and Switzerland.